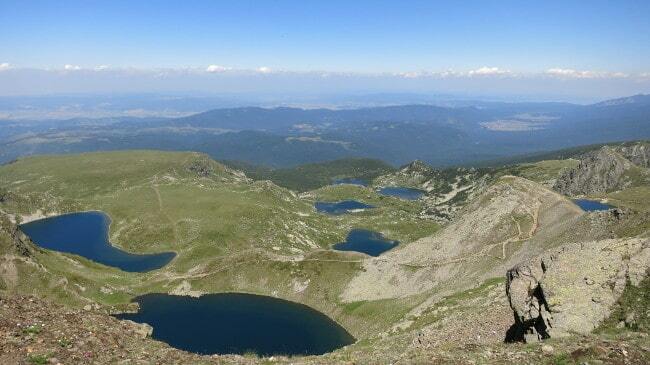 The area of the Seven Rila Lakes is one of the iconic attractions in Bulgaria, a “must do” for every foreign visitor, no matter a hiker or not. 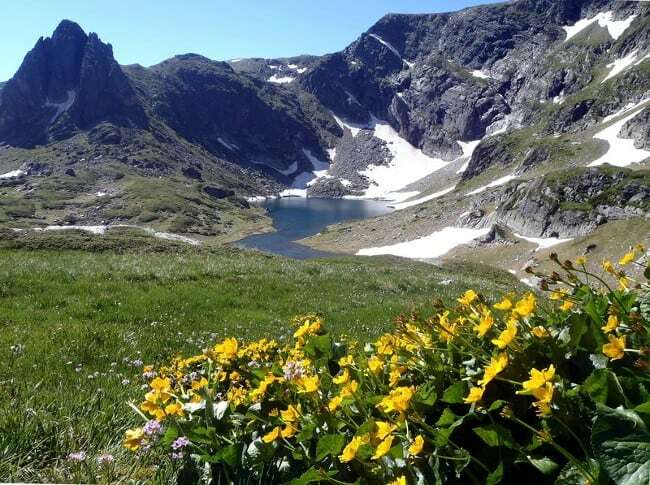 Located in the northwestern parts of Rila Mountains, the highest mountain range on the Balkan Peninsula, the area is a part of many trekking routes and fairly easy to access. Only 1,5 hours drive from the capital Sofia will take you to the bottom lift station and further 30 minutes on the sluggish chair lift will take you up to 2140 m, already above the tree line and above the lowest of the lakes. Here the main walking route will take you up to the highest lake for approximately 2,5 to 3 hours and than back down to the chair lift. Sounds great, but according to a recent survey (2015) every day, during the peak season in July and August, between 1000-3000 people visit the area on foot, using the chair lift or a 4-wheel drives! What happens there? 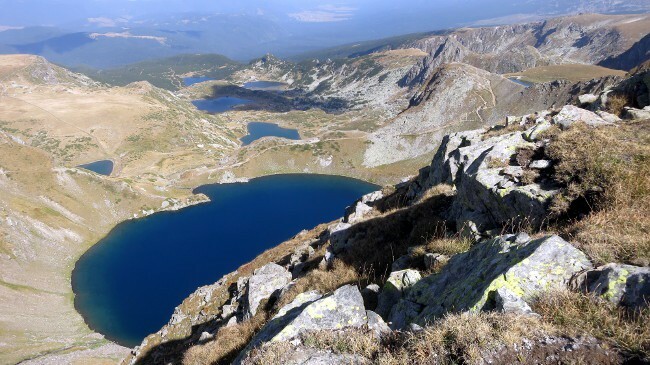 The main reason is that the Seven Lakes area is a very attractive place also for the Bulgarian tourists – with its charm of a place away of the civilization, high up in the mountains, with an extraordinary beauty of the crystal water lakes and spiritual sense, fed by the believes of the White Brotherhood followers, who consider the area as a holy place. Before 2009 there was no lift up to Rila Lakes Hut, so access was limited – most people used to walk up for 2 hours (500 m of vertical elevation gain from the end of the asphalt road at Pionerska Hut) to reach the lowest lake, some used to hire 4-wheel drives to take them up (which is actually not allowed in the regulations of Rila National Park) and some used to go on horses – mainly during the annual meeting of the White Brotherhood in August. There was only a drag lift near the Rila Lakes Hut, so a small number of skiers used to visit the area in winter, but also carrying their skis up to the hut. 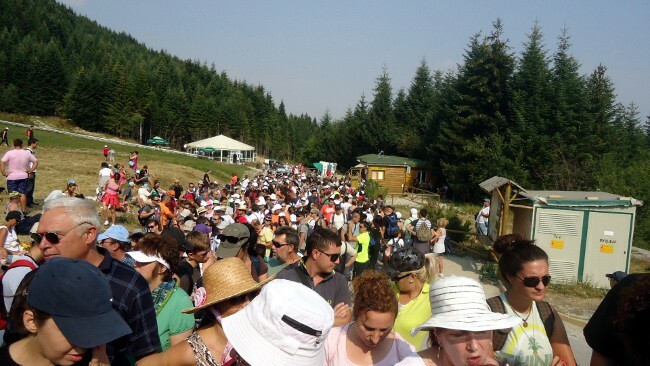 Before 2009 the number of visitors was up to 30 000 a year, according to the Bulgarian Ministry of Tourism, and this number was “bearable” for the nature. In 2009 the new chair lift was open. Actually it was was quite an old model new lift when it was mounted – that’s why it is so slow. Some laws were neglected by the owner-company in order to run it. This caused a lot of protests among Eco-activists, mainly in Sofia, and some collisions with locals, who believed that this is the Golden Hen for their area. There was a lot of rumours about huge new ski areas in planning. But the crisis came all around Europe and the only new construction up in the mountain was the lift and one “unofficial” illegally cut ski run that goes all the way down to the bottom station through the forests. After 2009 with a pace much faster than the speed of the old lift, the area gained new popularity among Bulgarians. As a place with a very easy access that offers pure mountain views. Next to the lift some locals developed their businesses in taking tourists up the mountain by jeeps, especially during the peak periods, when people had to wait a good couple of hours on a queue to get the lift. Others started selling souvenirs, honey and jam near the parking lot. What is the result a few years later? The long term visitor will spot the urbanization of the place for sure – the new road up to the lift, the commercialization of the area around the lift – the big parking area and many small traders. The worst is to see the lower of the lakes getting finally polluted and losing their nice blue colour and the trails heavily eroded under the feet of thousands of visitors. If you follow the main route up and down around the lakes during a peak period, you may feel like walking along the main street of Sofia – Vitoshka Street – the number of people and quite often their clothing are not different. Is there any hope for this place? Of course the colours are not that dark – it is still a beautiful mountain range, if you go a little bit away of the main tourist stream it is quite possible you will not meet anybody for hours, and, of course if you visit during the low season you’ll see the beauty of the place unspoiled and there will be no crowds around. There is some efforts to put some regulations and save the environment, but the bureaucracy and unwillingness of the authorities to react slows down this process significantly. At least there is some discussions recently and it is much more possible to see park rangers in the area now than a few years ago. Hopefully at some moment the area will be maintained as an urban park with strict regulations, defined tracks and a limited number of visitors per day. If possible, visit outside the main season – most Bulgarians, as most foreign visitors, get their holidays in July-August and this is the period when crowds and queues are common. 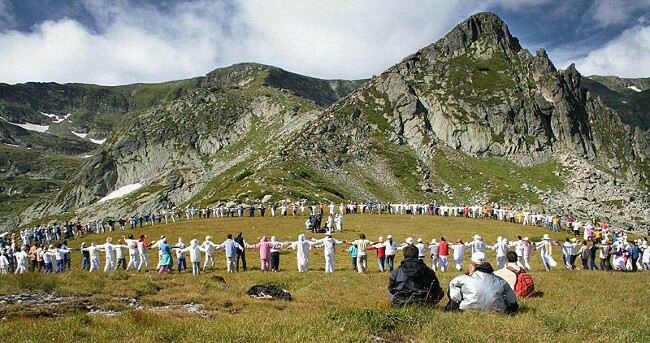 Additionally, the White Brotherhood – religious group of followers of the teaching of Petar Dunov, celebrate their New Year in August. That means a couple of thousands of them will stay in the area, camping (they get special permission from the park authorities for that, otherwise camping is not allowed) for a shorter or longer period. The peak of all that at 19th of August, when they greet the sunrise and celebrate the New Year with their special dance, called Panevritmia. Visit in spring or autumn, even winter (snowshoeing trips are possible). Each of these seasons has its unique charm and offers different views of the mountain and the lakes, but you need to be prepared for the specific weather and terrain conditions with enough information what to expect and with a suitable equipment. People underestimate the risks of being in a high mountain, above 2000 m of altitude, and in summer it is a common view to see people hiking totally unequipped. While during the summer weather conditions are quite forgiving most of the time, this is not the case outside this season. Try not to use the main routes and infrastructure – there is a few alternative routes to visit the lakes, avoiding most of the main track from the bottom lift station at Pionerska Hut – the lift – Rila Lakes Hut – The Fish Lake, The Trefoil and Twins Lakes – The Kindey Lake – The Eye Lake – Lakes Peak with the Teardrop Lake, and back. Walk from the bottom to avoid queues and to skip using the lift at all. Even if you need to take the lift, stay overnight in the area – in the beautiful village of Sapareva Banya at the foot of the mountains or at Panichishte area at 1500 m on the way to the lift. On the next day start as early as possible, take the lift one way only and walk down via Skakavitsa Waterfall or Lovna Hut back to the road. Avoid sleeping in Rila Lakes Hut where most of the pressure is concentrated as it it located at the top lift station. If you need more luxury (i.e. bathroom, hot water and restaurant menu) stay lower down. If you are more adventurous try Skakavitsa Hut, Ivan Vazov Hut or Lovna Hut. The old Seven Lakes Hut near the Fish Lake has no running water and good sewage and garbage facilities, it is also the centre of the camp of the Dunovists, so better avoid it during the season. There is no need to say, do not use the transportation, offered by jeep or horse owners. 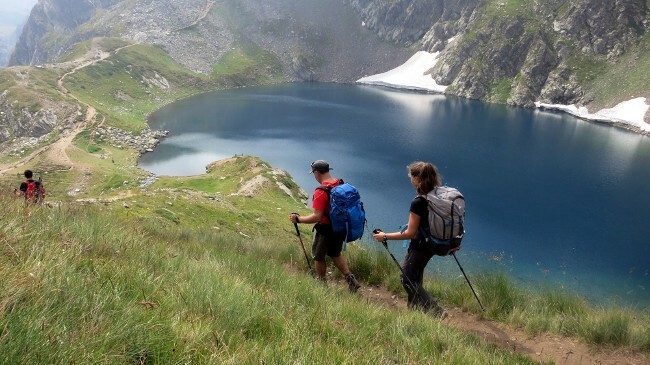 Info on how to get to the Rila Lakes by public transport. Zeleni Preslop (Gorna Zemya) – take a right turn at the last fork before the parking lot at Pionerska Hut, in a few hundred meters you’ll reach the end of the asphalt at the entrance of Rila National Park (Zeleni Preslop area). Walk up to Skakavitsa Hut and make a detour to the waterfall. Walk up along Dry Ridge to the Kidney Lake. Descent via Seven Lakes Hut and Lovna Hut back to the asphalt – you’ll follow the E4 international long distance walking route for a while. That’s a challenging trek for experienced hikers, that will keep you away of the main track most of the time. Brake this itinerary in two days with an overnight at Skakavitsa Hut and you’ll have an easier level and chance to visit the lakes early in the morning, before the 10am crowds – for sure you’ll enjoy the trip even in August. Pionerska Hut – Rila Lakes Hut – Razdela Pass – Ivan Vazov Hut. An alternative is Skakavitsa Hut – the Dry Ridge – The Eye Lake – Ivan Vazov Hut. Ivan Vazov Hut is located south of Otovitsa Ridge, the ridge “behind” the Eye Lake. The only viewpoint, where all of the lakes are seen together, is on that ridge. 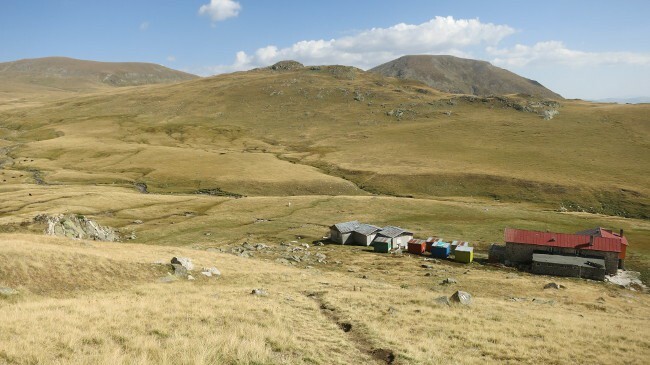 After a night at the hut there is many opportunities to continue trekking – towards Rila Monastery or Malyovitsa area. Also for experienced hikers. Sapareva Banya – Pionerska Hut – Lovna Hut (overnight) – Seven Lakes Hut – the main ridge via the winter route – Zeleni Rid Ridge – back to Lovna or further to Malyovitsa. Also an alternative suitable for people in good physical condition and with some experience in hiking. And last but not least – strictly keep the regulations of the national park within its area. 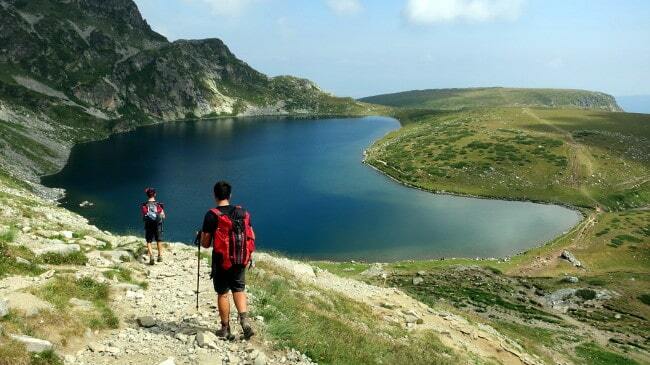 Enjoy the Seven Rila Lakes in Bulgaria! Is it possible to do the hike in the beginning of May? Which route is possible to do in that month? In early May there would still be snow on the trails. The route up to the Kidney Lake would be fine (but wet/muddy), higher up depending on the condition of the snow and your equipment. Is it possible to hire a guide with us, for the walk to the 7 Lakes? And where can we book it? Thank you for the great articles! I need some help: I’m coming in a week (Sunday Aug. 19) with 3 kids ages 16, 14 and 8. can we do the seven lakes in one day? can you direct us in a nice route that avoids crowds? also, i think i understood that the lift is not working Monday-Tuesday so how do we get up? thanks in advance!! Hello Rutie, Yes no problem in one day ! Very useful article! Thank you. Will definitely benefit from your advice when we hike in July.